Six Figure Mentors: Is It Another MLM Scam? When I was first asked to look into Six Figure Mentors by a subscriber on my Youtube channel and asked to do a six figure mentors review, I was surprised. According to this particular subscriber there were a ton of mixed reviews on this program and they really wanted a legit opinion of the program so they could save themselves from potential monetary loss. Of course I was up to the task and decided to take a look into the program. So, what did I find out? Well, let’s jump right into my Six Figure Mentors review to find out! This program was originally released to the public in August of 2010 and was started by two guys, Jay Kubassek and Stuart Ross, both experienced online marketers. However, with the first program the two noticed that many of their students were failing to make money online so they went back and built Six Figure Mentors from the bottom and recreated everything about the program with hopes that their students would see more success and live the same kind of wealthy lifestyle they were living. 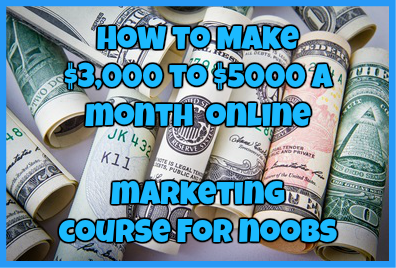 Then in 2012 Six Figure Mentors was back up with a brand new revamped system and this time Six Figure Mentors became an online community where you could go to learn how to make money online and how to make money online as an affiliate marketer. So, what is Six Figure Mentors? Basically it is an online platform where you can learn how to make money online regardless of your internet marketing experience. However, in reality this program is a Multi Level Marketing scheme that offers the chance to learn how to make money online for a “small” fee when in fact all of the information you can learn with this program is easily and readily available for you online for free. This program is primarily for those who have experience making money online and for those who have the money to pay the fees associated with the program. By no means is this program for a beginner or for those who are in financial distress right now. Six Figure Mentors Training: What Does It Offer and How Much Does It Cost? As we get into the bulk of Six Figure Income this is when we start getting into the true price of the program and learn what kind of training it offers. Let’s go through the costs one at a time so you can learn for yourself what it takes to become a member with Six Figure Mentors. Free Digital Lifestyle Series of Vides which is nothing more than telling you how great SFM is and what kind of money you can make when you buy into the SFM affiliate program. Introductory Package which gives you a first hand look at the DBL or Digital Businessman Lounge area. Intro to SFM Training Modules which is nothing more than the owners just talking about themselves. Now, after digging around for myself for a couple of hours, I was surprised by how many people complained about this program. Just take a look for yourself at what some people are saying about Six Figure Mentors. Now don’t get me wrong, I have heard of Jay and Stuart while being online for so long and they are great affiliate marketers in their own right, but the program they are selling is just a hopeless dream. While they promise to help you make money with Six Figure Mentors, that is not what you will be doing with this program. 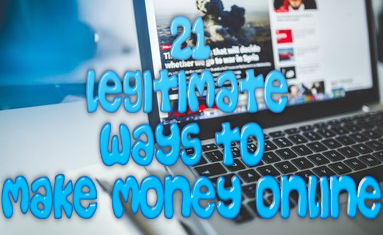 While the training videos are very informative and they certainly give you some helpful information regarding affiliate marketing, the truth is most of the information that they offer can be found for free online by doing a simple Google search. In fact you can get some of this information for free using other program such as Wealthy Affiliate! So yes, while I can certainly see how you can make tons of money with this program, I think that the price required in order to do so is an unrealistic investment for many people. To be honest it is just not worth it and based on the training, price and complaints, this is not a program I can actually recommend to anyone. Have you tried out Six Figure Mentors? Did you succeed? Have more to add to my review? Leave me a detailed comment below! ← BoostInsider Review: Is It Another Scam?